One day, my friend Kelly Drost and I were having coffee when she busted out this news ever-so-casually: she’d entered the Pillsbury Bake-Off contest this year—and ended up a finalist! Say what? How cool is that? This spring, she’ll travel to Orlando to compete against the other contestants for a grand prize of (cue Dr. Evil finger) ONE MILLION DOLLARS! I’m so excited for her. 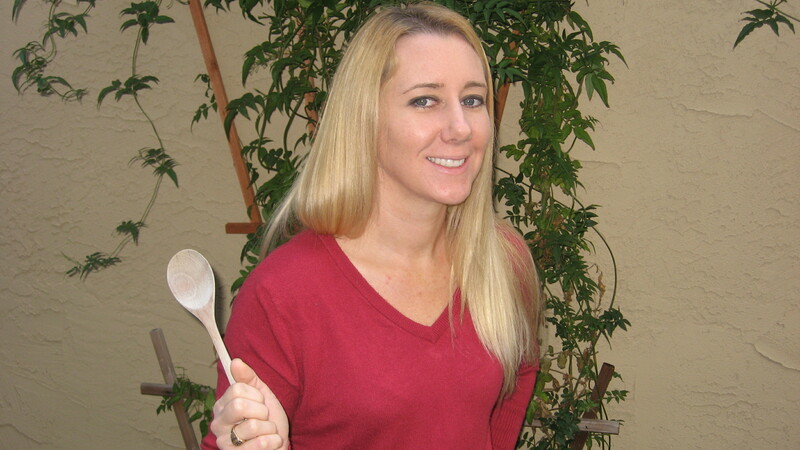 Besides being an awesome cook, Kelly is a mother of a toddler, a wife, a writer, and a flight attendant. She is a just a little bit busy, but still found time to talk to me about her experience. Can you describe how the contest works? How many people enter, and how many are chosen to be finalists? Tens of thousands of people enter the contest and only one hundred finalists are picked. The 45th Pillsbury Bake-Off Contest will take place in Orlando on March 26th. Finalists are chosen based on an original recipe that involves Pillsbury products. One finalist will walk away from the contest with one million dollars, a GE® Free-Standing Electric Range and $7,000 in additional GE Profile™ kitchen appliances. Three other contestants will win $8,000 in cash and prizes. The rest of us will get a free round trip ticket to Orlando, a GE microwave and a couple of nights in a nice hotel. Have you entered the Pillsbury Bake-Off contest before? This is my first time entering the contest. I entered hoping to get my husband off the couch and out of a funk he was in at the time. He ended up being too busy to create a recipe, but he was my number one taste tester. 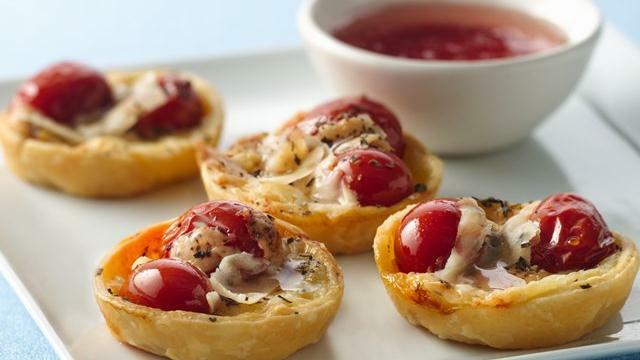 My entry is called Brie and Candied Tomato Tartlets. How did you come up with your recipe idea? How many times did you make different recipes before you hit on this one? Did you know it was extra-special after you made it, or did it come as a surprise? I’m not allowed to talk about all the ingredients until the cookbook comes out in January, so I can’t tell you exactly how I came up with it, but I will say that I started with the candied tomatoes. I planned the recipe in my head for about a month before I started cooking. I experimented with different ingredients and Pillsbury products for a couple of weeks. After a half a dozen tries, I came up with the final recipe. I knew it was extra special as soon as I tasted the final batch, but I still didn’t think I’d be picked. It tastes really, really good, but I just kinda figured it would get lost in the shuffle with the other tens of thousands of recipes. What are you most worried about for the contest? What are you most excited for? I’m worried I’ll flop and burn the crust on my tartlets or that I’ll forget to add salt and give the dish to the judges bland. I’m worried that someone came up with a recipe more creative than mine, but I’m excited about the possibility of winning. I want to be a millionaire. I want the title of Pillsbury Bake-Off Winner. I want to mean it when I rap along to songs on the radio about being rich and I want women to whisper about my win when I walk into a party. Okay, maybe that last part is never going to happen, but I would feel proud to have created a million dollar recipe. What will you do with a million dollars if you win? The money is paid out over twenty years, so I won’t be showering in Cristal and diamonds if I win. I will, however, have less stress about saving for the future. I’d put the money toward my daughter’s college fund, my retirement, a mortgage on a nice family home, then play with what’s left. I’ve always wanted to take a long vacation in Italy, to drive around the countryside and taste all the local food. I’d probably go on a little shopping spree or two. I’d definitely replace my husband’s set of leaky coffee mugs he complains about every morning. ← Stop Taking Pictures and LIVE! That’s so awesome! I found you through Rachele at Messy Kids. Your recipe sounds yummy – hope you win! So did I! Well, her facebook post, but same person. Thanks Rachelle! They release the recipes in January, so you can give it a try if you like. Thanks for reading my book. I can’t see the flashing thing on my end, even when I am signed out of WordPress, so I can’t eliminate it. Sorry. I can’t believe I’m reading your blog. I just finished reading How to be an American Housewife. I loved it. Beautiful story. Great characters. Very layered which kept me turning the pages. Read it in two days, couldn’t put it down. Loved Shoko. From the first word to the end I was stuck like glue to the pages. Appreciated the way you had it laid out, to keep the reader emotionally tuned in to the characters. I’m a writer and always looking for good books where I learn something. The trip to Japan was so real, I was there with you, touring and loving the people and the culture. Thanks so much for writing this. A real story when there are so few. I look forward to your next book. I plan to facebook and blog about your book.